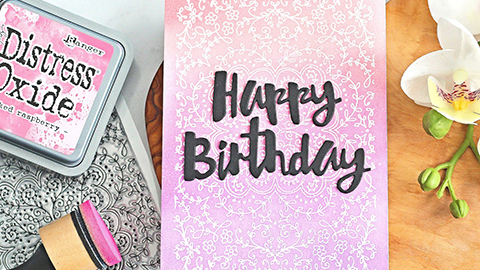 Michelle short of The Card Grotto blog has uploaded a great new card-making video. 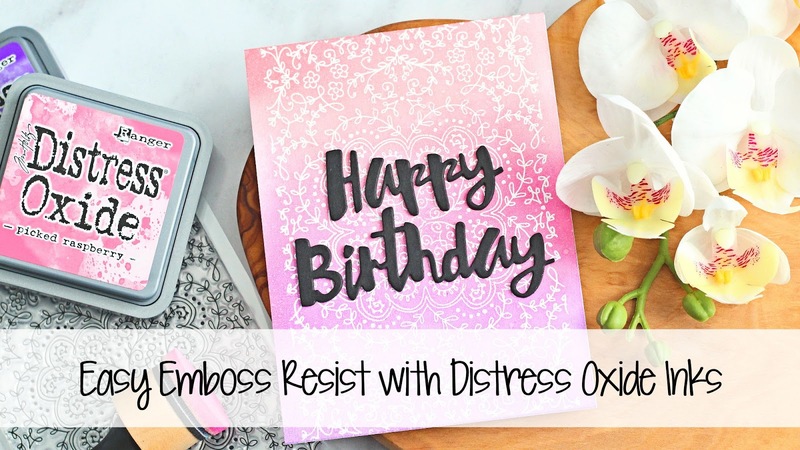 A tutorial showing an emboss resist technique using distress oxide inks. The emboss resist technique creates a beautiful effect and enables you to create pretty white designs or text on an inked background. The background stamp used is the Floral Sketch A6 Stamp. It’s one of 10 new stamps in this collection which has been designed in the UK by Kay Whittaker. This pretty stamp would also work well for wedding stationery. We’re looking forward to seeing more cards made using these great new background stamps. Head over to Michelle’s blog for more information and of course to see all her other brilliant blog posts. Be sure to subscribe to her fab YouTube channel too! – The Card Grotto. Emboss resist technique step by step tutorial by Michelle Short, using Creative Dies background stamp, floral sketch, and Distress Oxide inks and heat embossing powder.